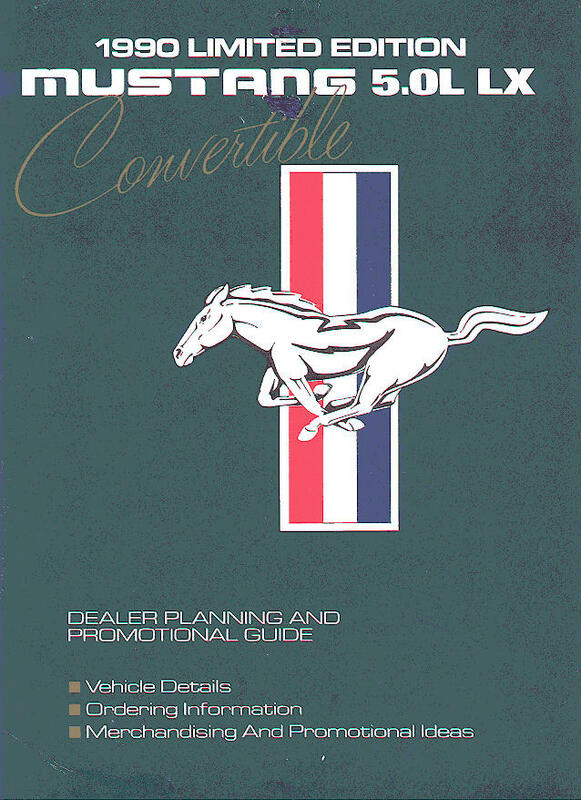 These are pages from the guide provided by Ford to its dealers. 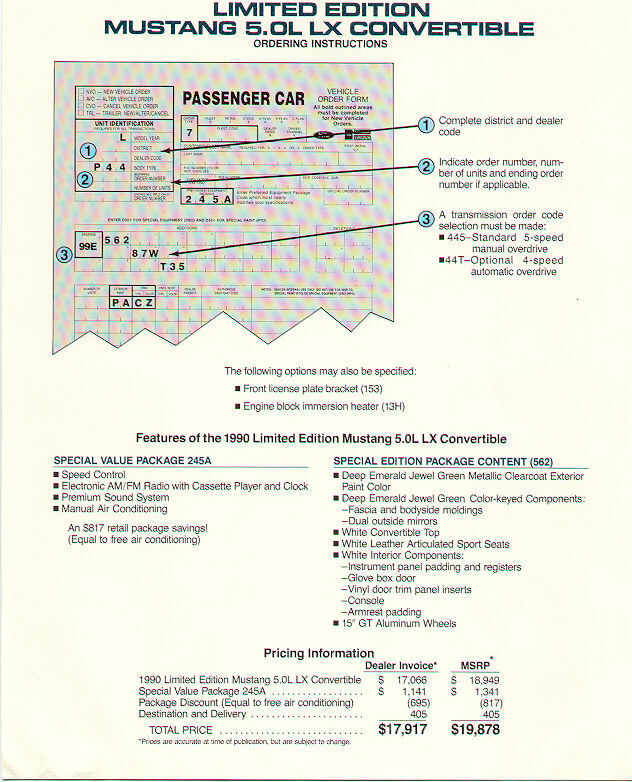 The scans of this guide were provided by Bill Schaefer of the 1990 Limited Edition Mustang 5.0L LX Registry. This is the cover page of the guide. 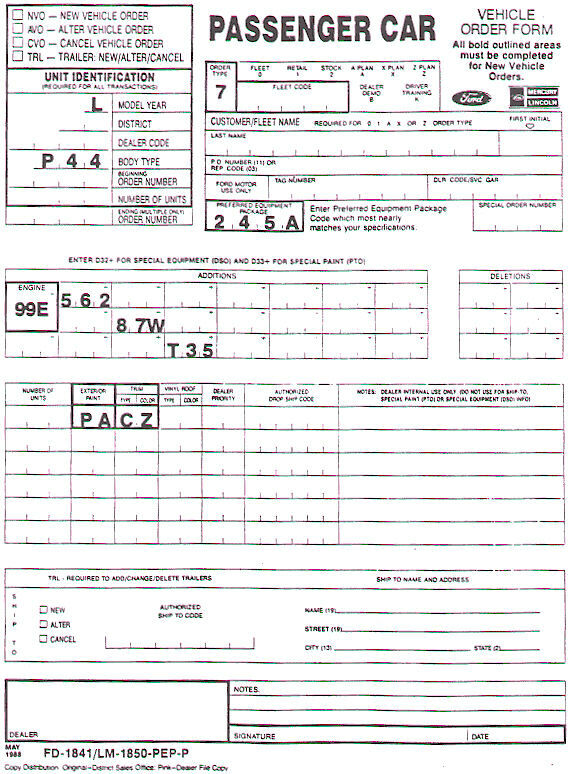 This is the invoice page from the guide. This is the order form from the guide. 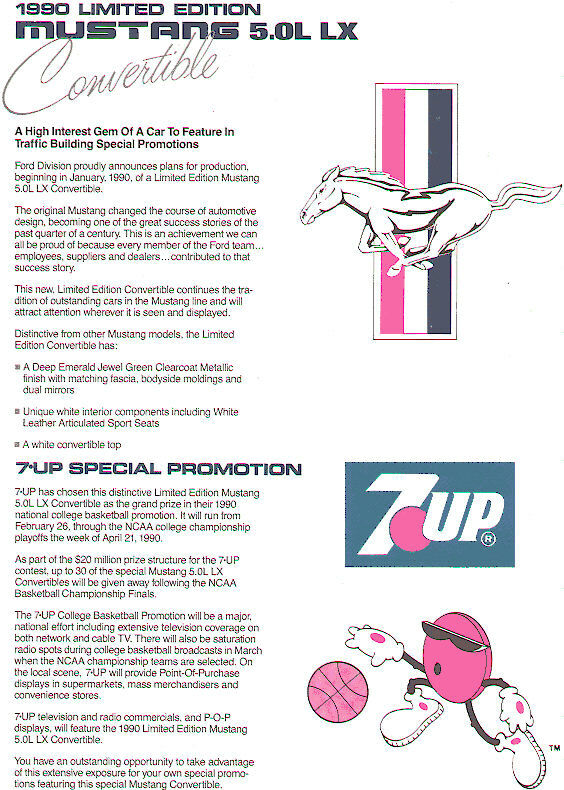 This page gives some of the promotional information. 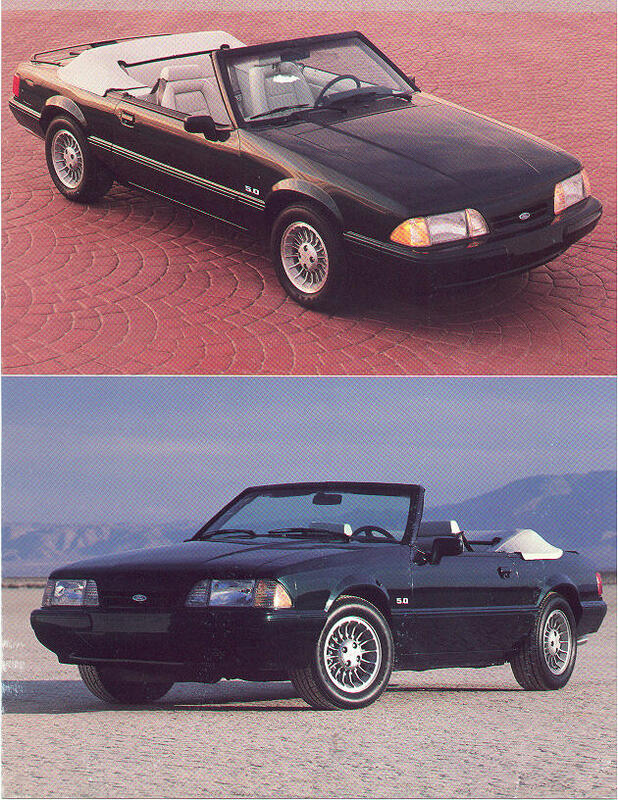 These are a couple of promotional pictures of the 1990 Limited Edition Convertible.